Sorry, there are no appointments available for this week. * No time slot selected!! 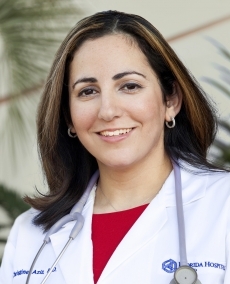 Christine Aziz, MD is a board-certified Family Medicine physician. Dr. Aziz attended medical school at the University of South Florida, in Tampa. She completed her residency at Halifax Health Center for Family and Sports Medicine Residency Program in Daytona Beach, Florida. As a Family Medicine physician, Dr. Aziz provides comprehensive health care to patients ages 3 and older.